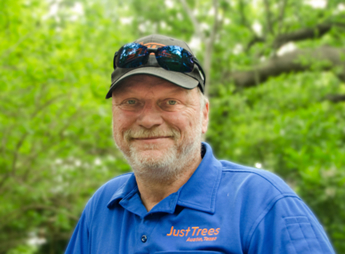 As one of the longest-standing Austin tree experts, and the founder of Just Trees, Markus has been caring for this region’s trees for more than twenty years. Originally from Boppard, Germany, Markus made his way through Boston and New Mexico before settling in Austin. You are most likely to run into Markus if you need tree work that requires his knowledge of technical rigging and heavy equipment. Prior to pursuing arboriculture and becoming a certified arborist, he studied both engineering and medicine. However, his love of the outdoors and green spaces prompted him to give up medicine and become a tree doctor instead. He now holds certifications as an ISA Certified Arborist and a Municipal Specialist, as well as the Texas Forest Service’s Oak Wilt certification. In his spare time, he enjoys motorcycling, kayaking, giving his daughter rides on the tractor, studying parts catalogues, arguing about politics, tending to the "ranch", and pyrotechnics. He continues to hold out hope that his wife will one day let him buy an airplane. Chris Poth recently joined Just Trees as a Certified Arborist and Oak Wilt Specialist after spending 13 years with Tree Clinic. He has worked in all facets of the tree industry since 1985 starting as a climber, progressing to plant health care technician, diagnostician and consultant. 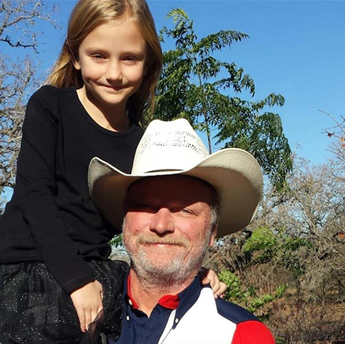 Chris is a fifth generation Texan. He was born in Houston and moved to the Austin area in 1974. He is married and has a teenage son. 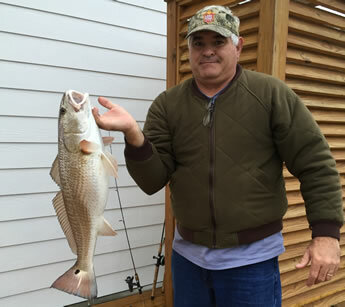 In his spare time, he enjoys salt and freshwater fishing and gardening. We’ve been thinking about starting an organization for kids, called “Future Austin Tree Experts”, or “FATE”. What do you think? We could teach them tree identification techniques, basic tree rigging, all the skills necessary for those budding arborists. Kristina hasn’t gotten to the rigging part yet, but she knows an oak from, well….okay, they’re all oaks to her. But we’re also teaching her to answer the phone, and we’ll let her take messages as soon as she’s learned how to spell.